Learning to Blog | Hey Kids! I am trying to teach myself about blogging today! Teaching myself is not easy! Teaching myself about technology that I have never used is especially hard for me. But I will persevere. This is what started me on my quest to learn about blogging: my husband has been telling me for years that I should start a blog, and Abbey’s 10th grade English teacher has her class participating in a blog this summer. It is time for me to jump in the pool! 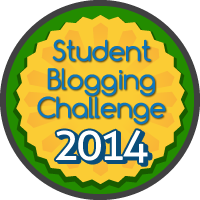 My goal is to learn enough about blogging so that we can start a classroom blog in August. You are an awesome teacher! Epiphany is blessed to have you! Thanks, Paula. It would be cool if Liam’s and Sam’s classes joined our Teddy Tours blog!